Remember a few weeks ago my post on Bag, Borrow, or Steal (HERE) and how I schlepped around town with a Chloe, Burberry, and Marc bag? Well did you know you can also borrow jewelry from them? 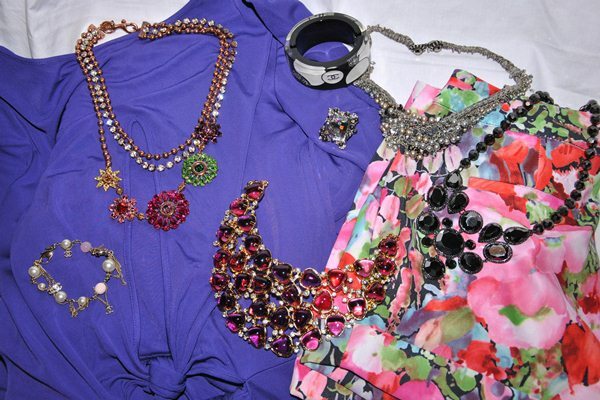 When I was putting together outfits for the Lucky Magazine FABB conference I was just as confused as what jewelry to wear as I was with what outfit to wear. When BBS said I could borrow whatever jewelry I wanted so I could try their service out I was ecstatic and instantly started putting looks together. I choose two looks with some key pieces that I knew would go with the many outfit options I had in my mind and also had two back up necklaces sent as well. 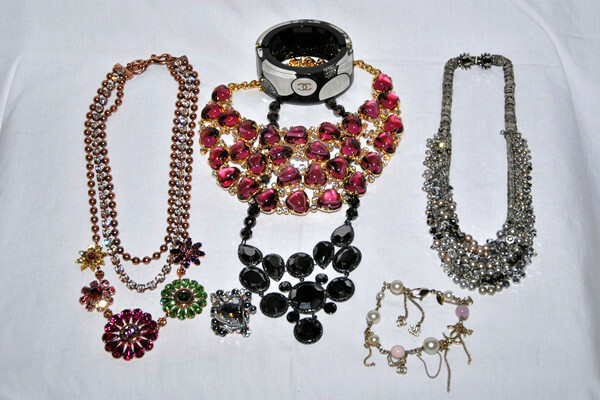 I was a little hesitant about borrowing jewelry as I was with the bags. I thought I was going to get scratched up jewelry with stones missing and someone’s sweat all over it. But that wasn’t the case at all! When the jewelry arrived each piece was pristine and looked brand new! You can instantly see that BBS takes pride in their service and makes sure each piece will not disappoint the customer. I literally did not let the jewelry out of my sight while traveling and did not want to part with it when I returned home. 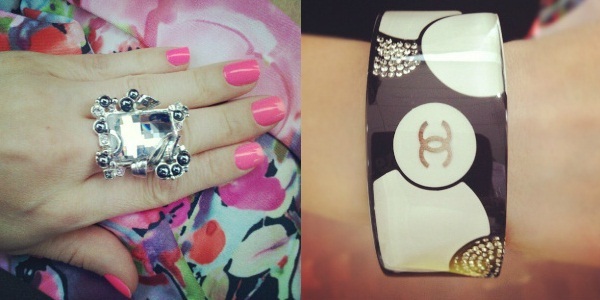 I could very easily get used to wearing a Chanel cuff or the Dior leaf ring every day. The only downside I had with the jewelry is that the one bracelet did not fit. This was not BBS fault at all! It just so happens that I have very small wrists and encounter this problem with all sorts of bracelets. I know some people might question why they would want to spend money on something they can’t keep but I look at it this way. When I go out to an event or a party I like to splurge on something fun or go the extra mile to dress an outfit up. 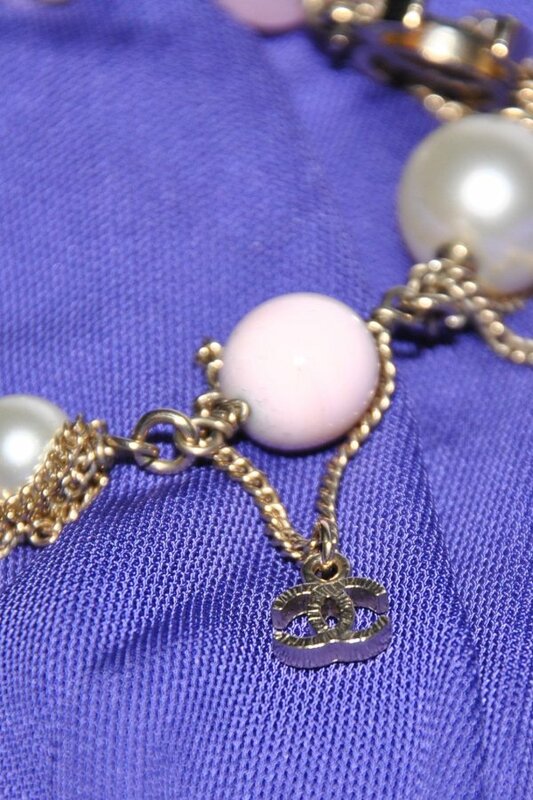 I can’t afford to purchase a $750 necklace to wear for an event, but I don’t mind spending $30 on it for the week. Especially since you earn points for every dollar you spend! Let me further explain- for every dollar you spend on rentals and shipping you earn 10 loyalty points. Every 1000 points then converts into $10 Loyalty reward credit to your account. If you purchase something on their Private Sale page- you’ll earn 5 points for every dollar! Plus, what’s the difference between bags/jewelry and clothes from others sites? I want to thank Bag, Borrow, or Steal for allowing me to borrow jewelry for the conference and literally feel like the "belle of the ball". 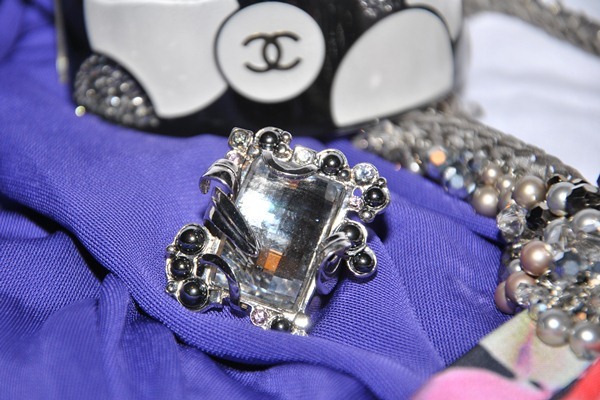 I have only ever dreamed of wearing Chanel, Kenneth Jay Lane and Dior but thanks to BBS I was able to wear them! I know now where I’m headed in the future to get jewelry for events. 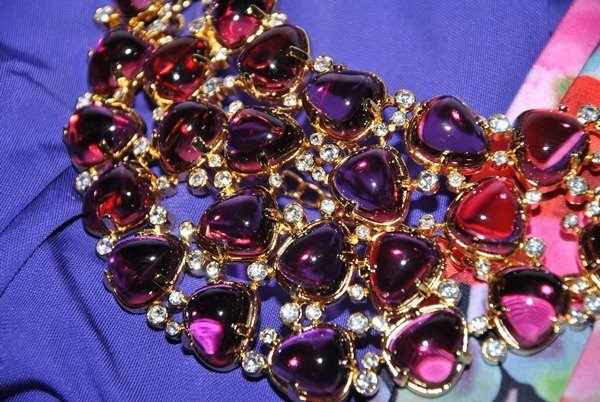 You can see how I wore the pieces in my Lucky FABB West posts- HERE, HERE, and HERE. Disclosure: Bag Borrow or Steal sent me the jewelry I selected to borrow for the conference. I was not paid for this post and all opinions expressed here are my own. Great post! I have been curious to hear about someone's experience with BBS. Thanks for sharing details about BBS and your positive experience. PS > I have the exact same issue with bracelets and a small wrist...ugh. Girlfriend, you are looking fab in your BBS jewels! It was really nice to meet you at FABB, you gave me your card, and I wanted to reach out and see what your blog was all about! I LOVE it! Excited to see more as a new follower- hope you get a chance to see more of my style! 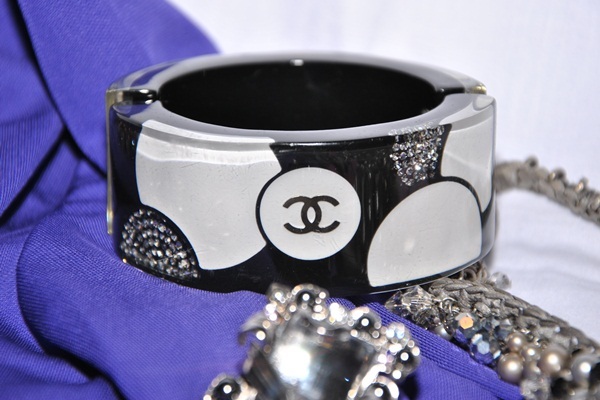 i've been insanely crushing on that chanel acryclic - it's gorgeous! how fun is that to borrow some BBS! :) i need to check them out for bags + get some sparkle (temporary!) fix! who was your wonderful photog for that pic of you at the kelly wearstler party? ha ha! still jealous of your baubles!